Going into this book I knew who Oscar Peterson was, where he came from, and what kind of music he played. I’m not a big jazz fan, but it’s hard not to admire the way he plays the piano. 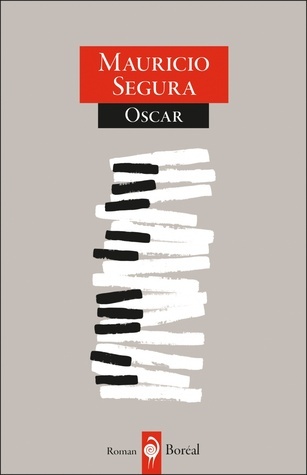 However, I didn’t know anything else about his life, so I am glad to have had the opportunity to read this – it sent me on a google hunt to learn more about Oscar’s life. 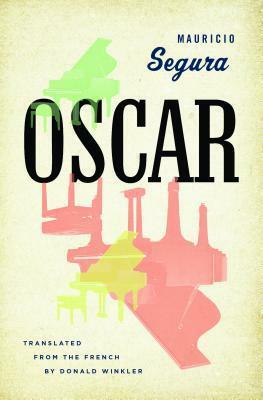 The parts of the book I most enjoyed involved Oscar and his family; before he moves away and starts touring the world. The family in the book, of course, is fictional, but it’s interesting to read about how the author decided to interpret some of the characters and events the way he did. For example, there are magical elements in his storytelling, like how the weather stays fine when Oscar’s brother Brad plays the piano and goes cloudy and rainy when he stops. And Oscar’s mother Davina has the ability to read into the future, giving her character a larger role in the story than she might have had otherwise. Oscar tries to make what he can of all this, but in the end, he has to follow his own instincts. His playing was a masterly succession of furious descents and chortling returns, culminating, against all expectations, in a sense of renewal and a rejuvenating optimism. I was interested in learning about the neighbourhood Oscar grew up in – Little Burgundy in Montreal – a neighbourhood populated by other families that had come to Canada from the West Indies. I would love to have learned more about his parents and their story. I would also like to have read more about Oscar’s personal relationships – he had four wives and several children – but these stories would have made for a very different book. Maybe someone else will take them on! One piece of advice going into this book… to get the most out of it, it’s important to remember that it’s fiction. I felt compelled to look everything up to find out what was true and what wasn’t. Was he really tangled up with a man who had far more power than Oscar ever knew – enough to manipulate all of the players in the book? I recommend saving the googling for later, and just enjoy the story. I can’t help but admire writers who can demonstrate the power of music. Music did much more than sooth the soul, it enabled mortals, for the time of a performance, to cherish their life in all its twilight decline. Oscar Peterson is best known for his Canadiana Suite – “Composed in 1963, it is a collection of eight compositions that moves its listeners across the Canadian landscape on a conceptual railway journey…” – which you can listen to a part of here. CBC Digital Archives: An Interview with Oscar Peterson from 1979. Thank you to Biblioasis for sending me a copy of this book! I loved the music aspect of Kim Echlin’s Under the Visible Life which makes this one sound quite attractive. Yes! I was reminded of that one a little bit, too. As well as Half-Blood Blues and Do Not Say We Have Nothing. Not the stories, but the music. Oh wow. I LOVE Oscar Peterson and this sounds brilliant. Lovely covers too. Thanks for this, I’ll be checking it out. While I am definitely a jazz aficionado, jazz piano is not my preference. However Oscar is in a league all his own. A nice review, and while I am not keen on the idea of fictionalizing the man, it does sound interesting. I would love to hear what you think of this one, James! I was just going to write a similar comment. I think if you want to use a real person but not his/her real history, then you need to take that person and stick him/her in an alternate setting or universe! I think it could be fun to imagine if Malcolm X had never been assassinated, or if Dolly Parton had created Dollyworld to steal the souls of children, or if LaVar Burton was nominated president and made everyone read if they broke laws. Well, Saturday IS coming up! Perhaps an idea for writing day! My husband laughed the most when I read the Dolly Parton example, so he agrees with you. I saw on the news recently that one library will get rid of a person’s gives if they read a certain amount. I love that. I know what you mean, but I did find reading this book a good way to get me curious about the “real” Oscar Peterson, and enjoyed reading more about him on the internet and listening to some of his music. I might never have thought to do it, otherwise! I enjoy reading fictionalized biography most when either I know nothing about the person (so the little bits I do know don’t get in the way of the story being told about them) or when I know a lot about the person (so that I can nod along or internally argue with the choices made by the author). So I really loved Curtis Sittenfeld’s American Wife (because I knew nothing about Laura Bush) for instance. Which means I might love this too! Good point! I hadn’t really thought about it before – I’m just always drawn to novels about real people. I’ll have to pay more attention to what I like about them and what I don’t! I totally second your advice of ‘leaving the googling to later’. When I read fictionalized accounts of true-life stories, I resist the urge to discover what the actual truth is until I’m done, because it interrupts the story and leads you to focus on the wrong things. I had heard of Oscar Peterson, but this book sounds like a good read for all Canadians! Yes, exactly! For example, while googling I learned more about his personal life than what was in the book, which made me wish there was more of it in the book. If I hadn’t done that, I wouldn’t have been wishing for more! Like Fiction Fan, I’m conflicted over novels about real people. This does sound very clever though, especially the tricky task of capturing music in writing. I was really curious as to what brought the author to write about Oscar Peterson, but I couldn’t find a lot of information about it.